Loudmouth rapper Kanye West was booed and bleeped out during his performance at the Billboard Music Awards on Sunday night. The crowd also booed Kendall and Kylie Jenner who introduced their brother-in-law before his performance. Wow! Awkward! The crowd at the 2015 Billboard Music Awards on Sunday, May 17, were not pleased to see Kendall Jenner and Kylie Jenner take the stage to introduce their brother-in-law Kanye West’s closing performance — and boy did they let them know! The Keeping Up With the Kardashians stars were met with boos as they stepped into the spotlight at Las Vegas’ MGM Grand Garden Arena to introduce West’s performance. And while there were some cheers and yells in the mix, the chorus of boos (which didn’t come from the celebs at the front, but from the crowd in the upper decks, according to our insider) were even audible on the TV broadcast. Remaining professional, the celeb sisters continued their introduction as scripted, ignoring the crowd reaction. Kylie, 17, did most of the talking while Kendall, 19, (who famously flubbed her intro speech while presenting the Australian band 5 Seconds Of Summer at last year’s awards) just cut in at the end to say West’s name. Unfortunately for Kim Kardashian’s husband, the bad reaction didn’t stop at his sister-in-laws. 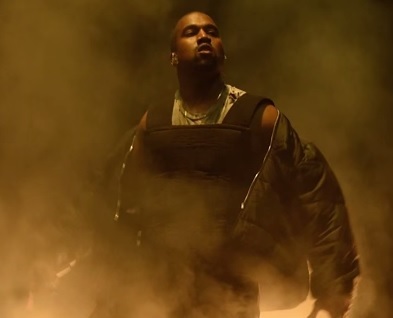 His much anticipated performance of “All Day” and “Black Skinhead” was so filled with pyrotechnics for the most part West himself was entirely hidden behind a wall of smoke and flames.